Discussion in 'The Tiki Bar' started by Bt Doctur, Apr 15, 2019 at 12:46 AM. Yep, Only in california will this be offensive to some people and the town of Laguna is considering bowing to these Traitors. The land of fruit and nuts. WV 320 Dancer, MonacoMike and boatman37 like this. I lived in Orange County during the 80's-mid 90's. My how things have changed. Use to be relatively conservative. 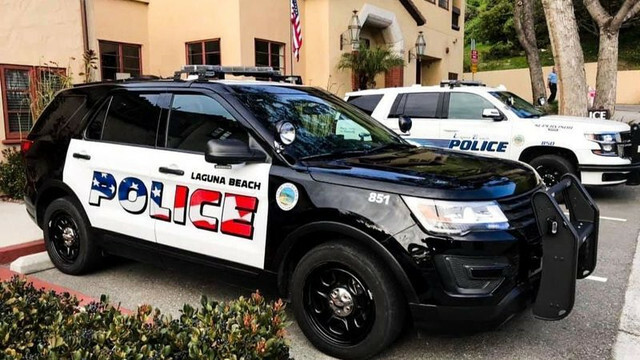 I just phoned the Laguna Beach city council number, 949-497-0710, and left a message saying I liked the new logo and, as a retired cop, I don't think they should do anything to change it. I would encourage each of you to pick up your phone and make the call. Don't they have safe spaces in Laguna for things like this? Ever been to Laguna Beach? To say it’s snooty would be an understatement. The design is tacky. I’m all for the flag being on a police car but this is just plain tasteless so far as design goes. I personally don’t think it does Old Glory any justice and gives off a feeling of “cheap”. They could have done this so much better. Declaring them traitors is a stretch. When I moved to CA in the 80s it was well known as the 'live and let live' state. It was a time when tolerance for others' behaviors and beliefs was at an all time high. Then the infestation happened. As it becomes more and more difficult to thrive in this state people are leaving in droves and are taking the disease with them. Watch out Texas. 340 HP Merc 454 c.i. It kinda goes against US code for proper display of the flag. Offensive to immigrants???? When I read this I wondered 'could this be'. I had only seen the paint job describe as 'too aggressive' but I did wonder what 'too aggressive' meant. A quick Google found this, ‘Some of the words people used was that they felt it was threatening, intimidating, harassing and a symbol of racism,’ Dicterow revealed to the LA Times. Yup, there it is...some folks think the American flag is 'a symbol of racism'. What is wrong with people? Late last fall I went to a sectional swim meet to watch my granddaughter. There were all kinds of people there, black people, native american, asian, hispanic, and white folks. No weapons are allowed but I did see few guys with big hunting knifes on their belt, probably was a gun or two in there also, hunting seasons and all some probably forgot to dress proper. Everyone was packed in tight together on those bleachers. Everyone was smiling and happy to be there cheering on their swimmers. A highschool gal sang the national anthem, everyone stood, showed respect for their flag, and one of the biggest cheers of the evening was at the anthems end with a few USA's thrown in, you see....everyone there was first an American. Ezsteps and Chris-380 like this. A highschool gal sang the national anthem, everyone stood, showed respect for their flag, and one of the biggest cheers of the evening was at the anthems end with a few USA's thrown in, you see....everyone there was first an American. I'm not naive, racism does exist, I've witnessed it on a few occasions, from slight to very, very nasty and IMHO flowing both directions....even though I'm told that's not possible. I'll never forget.... Back around '70 in a small town north of Paducah, KY I saw a couple beautiful girls, twins, they happened to be black. I started asking around about them, names, where they hung out. I wasn't shooting to fulfill any fantasy of twins, would have settled for a date with either one. The little town had a white American Legion and a black American Legion. The county was dry but the Legion Posts were run like bars and I used to go to both. It didn't take long, one night at the Black Legion a guy came up to me and relayed a message from the twins father, 'he don't want his daughters hanging around with white trash, stay away or else'. Kinda hurt my feelings and I felt their father was racist. Maybe they were dumber than a door knob and I wouldn't have liked them anyway. Anchor goes down, Flag goes up. 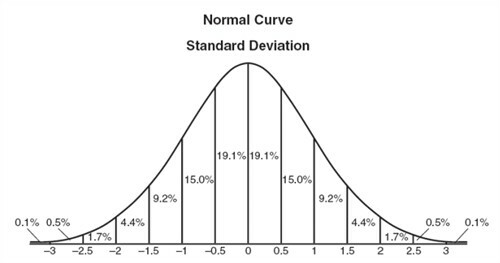 Today's media is interested only beyond 3 sigma (the fringe); that is the problem.... The media emotionalizes the people; the people emotionalizes the politicians then the media reports the politics; it's a self eating watermelon. In the mean time those who serve to the law of the land are consumed with damage control. And dare I say this thread and the hyperbole within is evidence.